Home / News / Introducing Regal Robot Furniture and Decor! 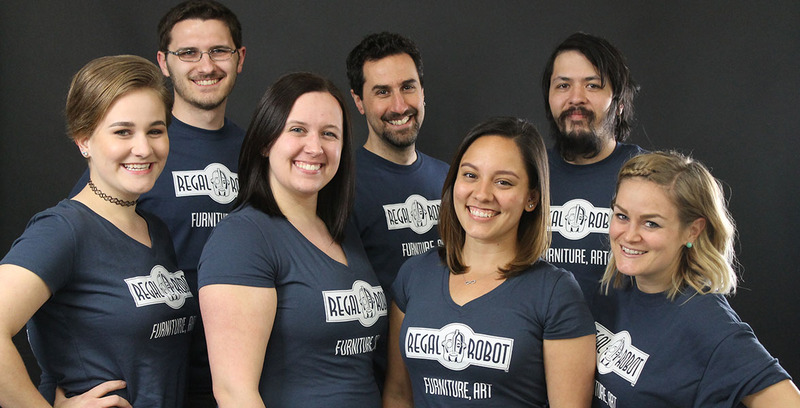 Introducing Regal Robot Furniture and Decor! 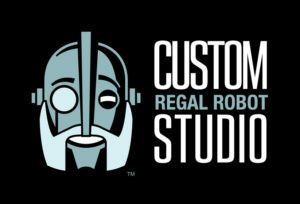 We are thrilled to introduce our new company, Regal Robot! Ten years ago, the founders of this company created the infamous “Han Solo™ in Carbonite desk” for a Grammy award winning musician to auction for charity. At that moment, the foundation was created for this new venture. For years, we’d thought themed furniture and decor could be something more. The internet’s reaction to that geek chic piece of furniture art showed us that we weren’t the only ones smitten with this new style. In fact, it nearly broke our website at the time! Regal Robot, Inc. is the natural evolution of the work we’ve been doing for over 10 years. We honed our style and dreamt up exciting new concepts. We’re so proud to launch Regal Robot as a place for us to share these new designs with the world. At its heart, Regal Robot is a small company, founded by artists and craftspeople, dedicated to creating (not just selling) made to order, highly themed furniture, art and decor to bring what you love into your home and life in new and exciting ways. In addition to working in broad themes, we are pleased to announce that Lucasfilm and Regal Robot are teaming up to create amazing, official Star Wars™ themed furniture and home decor! We are proud to offer our line of classic, authentic Star Wars™ products and our unprecedented Custom Studio services to fans of the classic Star Wars trilogy! And when we say, “custom studio” we don’t just mean the typical special order furniture in a particular color or fabric. We mean wild concepts designed for you and specifically tailored to your space, needs and loves. It means one on one service, building single items for individual clients and not just mass produced product. We offer standard and made-to-order items too, but we love creating original works of functional art for specific clients who dream as big as we do. Click here to make learn more or make your custom Star Wars furniture or decor request today. So thank you for stopping by our new site, please explore and we hope you see some cool stuff for your home. We look forward to creating for you! Please follow us for behind the scenes pics and all the latest news!